Lovely painting – I remember seeing this area when my husband ran the Delaware – from a farmer’s field in NY State to down in Salem County. Quite an experience. Thanks Kay! I love Salem area. Thanks Bonnie! 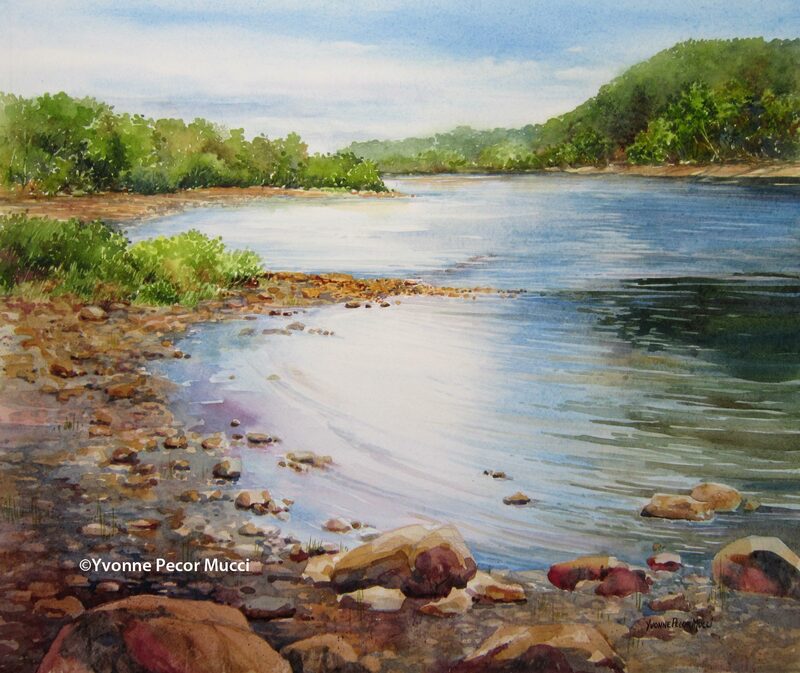 I love sharing my passion for watercolor in the workshops. Fantastic work! Really really like this one!! Thanks! I can’t wait for warmer weather so I can get back here to paint again.